just as there is no difference between the ocean and its waves. Throughout history geniuses have expressed their connection to a divine creator. Holy Spirit, God, and Divine Being are different expressions of the same experience. This is the state where the “finer fibers” that Tesla mentioned attune to the creative broadcast. It is the key to accessing higher creativity and the portal for profound inspira­tion. You don’t have to believe in a particular religion or spiritual path in order to access this state. Be careful that your appeal isn’t a demand. Inspiration can’t be forced. You meet the demand for creative insight by surrendering your idea of what you think you need and opening to something you don’t know. Ask. Let go. Listen. Be patient. And keep working on your craft as you wait. There’s a paradox here. You, as an individual, remain fully accountable for what you create. You must learn the craft associated with your discipline. As Brahms expressed it, “Without craftsmanship, inspiration is a mere reed shaken in the wind.” You must provide the effort, commitment, and diligence. And while taking full responsibility, surrender your attachment, empty yourself, and ask for inspiration and guidance. Caffeine, alcohol, and amphetamines can help us shift out of our habitual, limiting mindsets, but over reliance on these substances damages our health and has diminishing returns. On the other hand, relying on an invocation to a creative source yields exponentially increasing benefits, without any negative side effects. Moreover, the Muses aren’t just standing by to help artists; they’re available for everyone who wants to bring more creativity to life. All you have to do is ask, wholeheartedly. 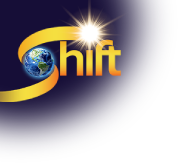 Michael Gelb is launching a new course with The Shift Network on Mastering Creativity - to learn more, click here. Michael J. Gelb is the world’s leading authority on the application of genius thinking to personal and organizational development. He is a pioneer in the fields of creative thinking, accelerated learning, and innovative leadership. Gelb leads seminars for organizations such as DuPont, Merck, Microsoft, Nike, Roche and YPO. He brings more than 35 years of experience as a professional speaker, seminar leader and organizational consultant to his diverse, international clientele. To learn more, click here.